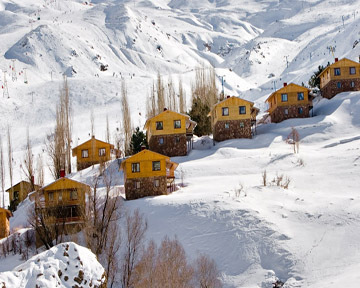 You will have the chance to enjoy skiing in dreamy Alborz, swimming in the pearl of Persian Gulf and Kish, safari in Shahdad desert, which one of the warmest points of the world and has clean and pure oxygen. We will also invite you to climbing the easy reachable 4000 meter peak of Shirk ooh. 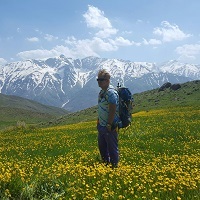 By choosing Persian 5S tour Even the amateur climbers can enjoy this mountain climbing in 2 days. We recommend you this tour from middle of autumn till middle of spring. Drive to Dizin. Dizin is situated on the North Mountains of Tehran at Gajereh region, where its distance from Chaloos road is 123 kilometers, and by Shemshak is 71 kilometers. at evening we will visit Dizin. Today we will enjoy skiing in Dizin ski resort. 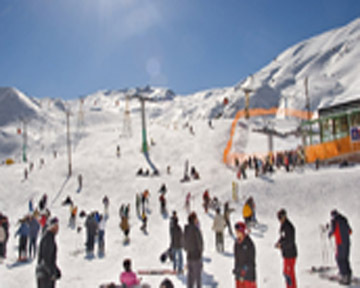 Dizzin international ski resort is one of the most important and confirmed ski resorts by the global ski federation. 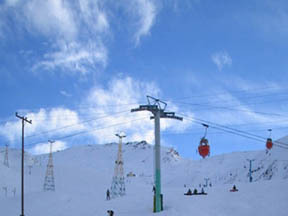 This ski resort is located 123 km north Tehran in Gajereh region. Having 2 hotels, several Cottages and different ski requirements such as 3 funiculur, 2 tele Siej and 8 tele ski. The height of the lowest part of ski resort is 2650 meter and the highest one is 3600 meter. The installation of ski-lifts at Dizin dates back to 1348 (1969) which include three tele-cabins, two skiliffs, seven dish tele-skis and one Hammer tele-ski, the lowest point of the region is 2650 in, while its highest point is 3600m, above the sea level. Dizin climatological condition offers the longest time for skiing, normally begins in (22 N0V. -22 MAY) Because of the expansion of the region. In 1372 (1993) taking the viewpoints of the International Ski Federation into consideration, and with regard to the co-operation of the concerned experts in this field, the cornerstone of Grasski was laid down after a year endeavor, it was opened to public in 1994.
which all in all absorb many champions and sport lovers for competition from all over the world. For the time being, Dizin is open to the public on summer holidays and every day in the winter. 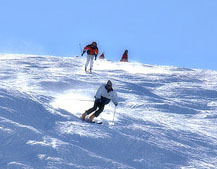 At the present, the Dizin ski region is administered by Iran ski federation. Skiing in Dizin. Stay overnight in Dizin. Skiing in Dizin. 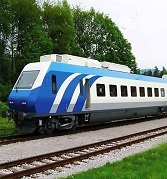 Move towards Tehran and transfer to Mehr Abad for the flight to Kish. 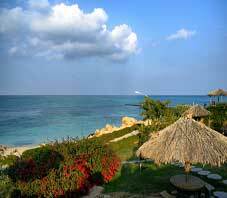 At your arrival to Kish, the weather is mild in winter and you do not need winter clothes. And you can even swim in the gulf. The quiet sea shore and beautiful clean sea will be a dreamy place which relaxes your tired body after skiing. Morning is free at leisure for swimming. At evening we will visit the Dolphin Park Complex, comprised of the dolphin and seal pools, bird garden, cactus garden and underwater aquarium.The Dolphin Park is a 70-hectare (170-acre) park located at the south east corner of Kish Island. It is surrounded by over 22,000 palm trees, and includes a dolphinarium, butterfly garden, silkworm compound, bird garden, artificial rain forest, volcanic mountain, orchid garden, and cactus garden. The dolphinarium includes the largest man made pool on the island, and exhibits dolphins, sea lions, and white whales. Stay overnight in Kish. Visiting this ancient town is an opportunity to get acquainted with the island’s history while having a nice time at the Green Tree Recreational Complex, situated near the ancient city. 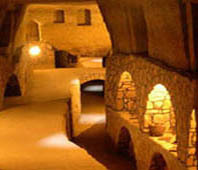 In the reconstruction of this qanat named Cariz, spaces have been allocated to handicraft stalls, restaurants and traditional teahouses, amphitheaters, conference centers, and art galleries. Efforts have been made to preserve the traditional and historic fabric of the site. In the morning going to the coast. 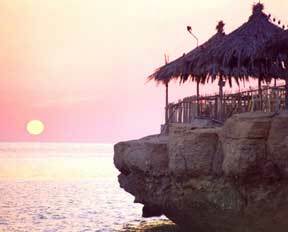 The coral coasts of Kish Island have a special glow under the sunlight. The seawater near the coasts is so clear, that one can see the depths of the sea and all its aquatic life that are unique in their kind. 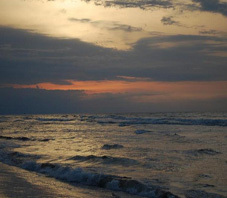 These beaches are safe and there are no dangerous creatures in the region; thus those interested in fishing and swimming can go for their favorite sports. 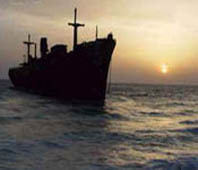 Tourists can benefit from Kish beaches, sea and sun all year round. Facilities such as a recreational jetty, glass-bottomed boats, motorboats, and scuba diving equipment are available on the beaches. P.m. fly to Kerman then transfer to hotel. 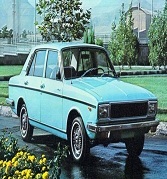 Today we will be transferred to Shahdad.The driving distance from Kerman city to Shahdad is 95 km. 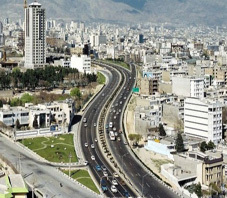 Shahdad is the centre of Shahdad district which includes smaller cities and villages such as Sirch, Andouhjerd, Chehar Farsakh, Go-diz, Keshit, Ibrahim Abad, Joshan and Dehseif. Shahdad is located at the edge of the Lut desert. The local climate is hot and dry. the researches believe that Shahdad is the greatest part of the world. The main agricultural produce is date fruits. As it is lots of clean oxygen in desert, we will feel great there. 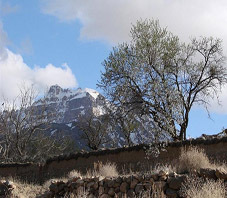 Today we will depart for Bam and along the way have a short stop in Mahan. Mahan is well-known for the tomb of Shah Ne\'emat Ollah-e-Vali, the great Sufi leader, as well as Shazdeh Garden (Prince Garden). Shazdeh Garden (Prince’s Garden) is a historical Persian garden located near (6km away from) Mahan in Kerman province, Iran. 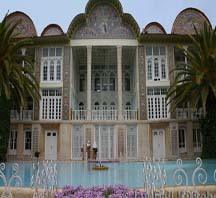 The garden was built for Abdolhamid Mirza Naserodollehand during the eleven years of his governorship in the Qajar dynasty. The construction was left unfinished, due to the death of Abdolhamid Mirza in the early 1890s. 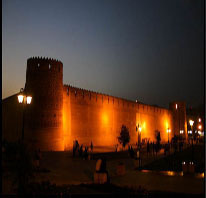 After that, visit the reconstructed remains of the earthquake-stricken Arg-e-Bam (Bam citadel) which still attracts the attention of the enthusiasts. And also other most visited sites during previous years. En route, pay a visit to Rayen castle which is a good replica for Bam citadel. Stay overnight in Kerman. In the Morning we will visit the Ganjali Khan complex and Kerman Bazaar. 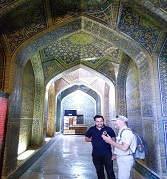 Afterward we will visit Zeinoddin, a Safavid Caravanserai in the heart of desert which is restored in the best way possible and got 2 awards from UNESCO in 2005 and 2006. 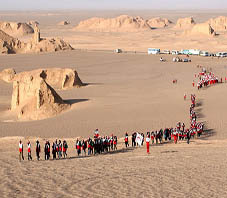 Mehriz is located 30 kilometers south of the city of Yazd. 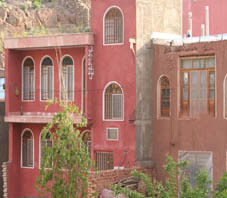 Mehriz consists of one central district and five village centers. According to historians, the name belongs to \"Mehrnegar\" the beloved daughter of Anoushirvan, the Sassanid King. Mehriz was known, during the late Sassanid era (4th century AD), as a natural pleasant area. 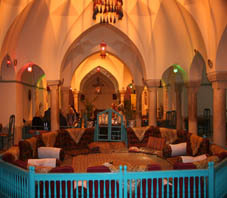 One of The most important places to visit in Mehriz is Saryazd. Saryazd has a castle belonging to Sassanid era which is used as a haven in time of war. Another historical place out there is caravanserai in Saryazd which dates back to Seljuk and Safavid era. It is noteworthy that Sar Yazd has one of the best pomegranates of Iran. After that we will transfer to Yazd. Early in the morning we will drive 10 km to Bala deh, and then we walk to Shir Kouh Camp for 5 hours. On the way we will have lunch. Stay overnight in Camp and having dinner in a place with nice perspective of Bala Deh village. Today we will climb 4200 meter to Shir Kouh mount in one hour and a half. And besides enjoying the climbing we have the chance to take photos of the most beautiful perspectives of this mount. Afterwards we will return to Bala Deh, and have lunch in this beautiful village. 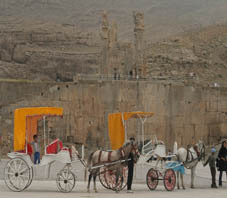 On the way to Shiraz we will have a few short stops. Next stop is Pasargadae to visit the most important and majestic monuments there. The tomb of Cyrus the Great, the originator and the great founder of Achaemanian Emperor, (500 years BC) is the oldest historical tomb. The wonderful architecture of his tomb, the huge fertile land over there beside the brave personality of Cyrus the Great impressed the visitors. This Archeological environment was the worshiping place for the followers of several religions and still it is so. Followed by the relief of the winged man and get familiar with its historical elucidations some researchers gave specific theories regarding the relation between personality of Cyrus the Great and one of the prophets of Holy Book. By visiting this majestic tomb you can have your personal comment about it. Shiraz has a reputation as an enlightened city that has been at the centre of Persian culture for more than 2,000 years, and was at one time the country\'s capital. This gorgeous city in the province of Fars is home to famous poets such as Hafez and Sa\'adi and historical sites from different eras stretching back 6,000 years ago can be found. Hafez is one of great poets who impressed everyone with his mastery. His poems give us a special feeling and the peace in his tomb is really outstanding. Sa’adi is a poet, philosopher and mystic who is known as the father of a alternative tourist. About seven previous centuries he travelled to different countries and cities. Then he collected all his experiences in verse and Rhyme prose in two books named Boustan and Golestan. These two books give you Lots of inspiration and information. We will get a chance to pay homage to tombs of these great poets. 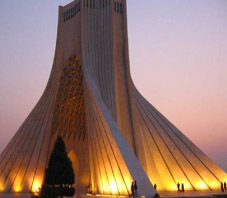 At evening we will transferred to the airport for the flight to Isfahan. 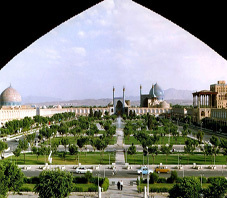 Isfahan the legendary city which never fails to enchant its visitors is the pearl of traditional Islamic archeology. This city is revived by the works of contemporary artists. 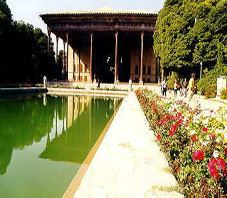 Isfahan prides itself in having fascinating historical garden palaces. Legend has it that the city was founded at the time of Tahmoures or Keykavous and because of its glories has been entitled “Half the World”. Our full day tour includes the famed Imam Square (Naqsh-e-Jahan), a huge square second in the world to Beijing\'s Tiananmen Square. Tour the architectural marvels of Sheikh Lotfollah and Imam Mosques, Aliqapu Palace, Chehel Sutoon and Hasht Behesht Palaces, and also visit one of the most famous bazaars in Iran, where we can purchase the arts & crafts for which Isfahan is so well renowned. 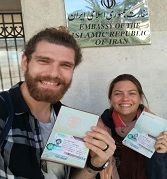 Stay overnight in Isfahan. 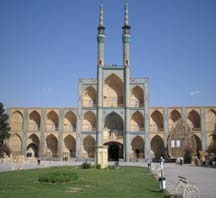 Isfahan’s Jame\' mosque holds in itself the passage of several centuries of historical Islamic evolution. 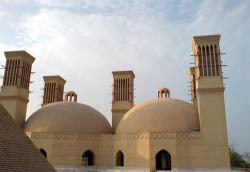 This mosque is a gallery of Islamic architecture in which the progress of the architecture from the outset of Islam till recent times is evident. Then we will visit Vank Church which is one of the most beautiful Armenian churches in the world and will undoubtedly capture the attention of every Christian. Our day will conclude with a visit to Monar Jomban, the tomb of a Sufi with its shaking minarets and some historical bridges. Evening is free at leisure. On the way to Tehran, we will visit the UNESCO recognized village of Abyaneh, located at the foot of Mount Karkas and in the vicinity of desert. Appreciate the serenity of this quaint village with its splendid archaeology and meet the dwellers who speak, live and dress in the original Persian style. Next, hop on to Kashan and visit Tabatabaiha and Borojerdiha houses and some other historical places specially chosen by our tour guide and be acquainted with the previous century’s architecture, the Qajar era. 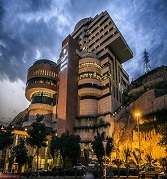 Stay overnight in Tehran.